Bass Tournaments are not just for the Pros! Fishing Kids, Inc. sponsors eight tournaments a year in Broward County Florida. Participants are divided into two divisions, Small Fry for ages 5 thru 10 years old, and Juniors for ages 11 thru 17 years old. The top-qualifying anglers will then compete in the kid’s classic. Although there is a registration fee at the end of the tournament medals and prizes are awarded!! C.A.S.T. 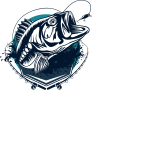 for Kids Foundation is a public charity that was formed in 1991 to join volunteers who love to fish with children who have special needs and disadvantages for a day of fishing in the outdoors. The Foundation became an official 501(c)3 in 1994 and currently hosts three programs: C.A.S.T. for Kids, Fishing Kids, and Take a Warrior Fishing. The Georgia Bass Trail is a statewide system of large boating access areas capable of supporting large tournament events and normal boating and fishing activities on major water bodies. The trail was developed though community partnership and is made up of the following, tournament style, boating access facilities – each providing its own unique bass fishing experience. Check out the Georgia Outdoor Map to located boating and fishing opportunities in Georgia. Looking for public fishing areas in the state of Georgia? Check out the Georgia Wildlife website to find the public fishing areas nearest you! The Georgia Department of Natural Resources features a variety of outdoor events from kids fishing events, volunteer opportunities, wildlife education events, and more! Kids Fishing Ponds available daily located in Burton and Buford Georgia’s Trout Hatcheries. Burton Trout Hatchery is located in Rabun County on Moccasin Creek next to Lake Burton. The hatchery is approximately 20 miles north of Clarkesville on Georgia Highway 197. There is a family fishing pond open daily for channel catfish from 8 a.m.–6 p.m., with a limit of four fish. Burton Hatchery provides stocking support for Georgia trout streams and public waters. The Junior B.A.S.S. Nation is helping shape the future of the sport, one Junior club at a time. The Junior club members enjoy camaraderie and competition, as well as education and conservation programs. As part of the Junior B.A.S.S. Nation, young anglers can compete in the Junior B.A.S.S. Nation State Championships and in the Junior National Championship. Check out the available B.A.S.S. Nation Tournaments below. Take the guessin’ out of where to go fishin’! 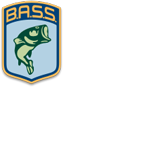 Use the Bass Tournament Finder, choose your region, and find bass fishing tournaments that are sorted by month, date and water body. Upcoming Programs APRIL 13-15 – This is a great get away opportunity – weekend includes fishing on one of the Georgia Ponds as well as education programs on equipment, regulations, and basic fish biology. Price includes lodging, a guide, education and food. INCREDIBLE VALUE! 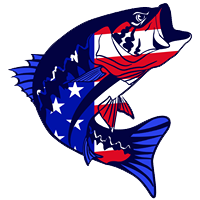 Basscasters is a place where outdoorsmen come together to hangout and show their love for fishing!